So what are you doing about HANA and Analytics? HANA, rightfully so, is getting significant push and investment from SAP. This in-memory technology is a game changer. At SAPPHIRE this past year, we heard Bill McDermott, SAP’s CEO, give an inspired presentation on the benefits of HANA. Hasso Plattner, innovator and chief technologist behind HANA, raised the bar even higher with the re-invention and re-imagination of your business and processes. Is HANA the foundation to take your business to the next level? We think so! Have you heard of the $1-$10-$100 rule? It’s ingrained in the minds of any TQM disciple. The principle is that you can spend a $1 on prevention, $10 on correction or $100 on failure; failure to deliver the products on time, or failure to provide the right power at peak demand periods. Essentially, the rule explains that the failure to take note of one event or decision escalates the loss in terms of dollars. Or simply stated, an ounce of prevention is worth of pound of cure. So how does BW on HANA relate to the $1-$10-$100 rule? Think of the numerous times you thought, “If we had only known sooner, we could have prevented this problem.” We think HANA and Analytics is the perfect toolset for Operational Efficiency and Effectiveness. Setting up HANA and Analytics to provide alerts and notifications is that $1 of prevention that can save you hundreds, if not thousands, of dollars on errors, defects, readings, and trends. But first, what is HANA? 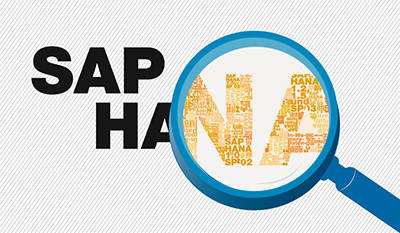 The SAP HANA platform is a completely reimagined platform for real-time business. It converges database and application platform capabilities in memory to transform transactions, analytics, text analysis, and predictive and spatial processing so businesses can operate in real time. Improve insights on working capital and cash flow: Analyze each financial document, such as customer invoices, for optimizing cash flow or impact on budgets and forecasts. Review Sales and Revenue Analysis: A major production facility is affected by a catastrophic event; three feet of snow caved in the roof of the plant. You have two weeks left in the quarter, and you were counting on that revenue. An alert from the HANA Analytics platform would notify the production management team of the production orders, customers, and expected ship dates for the location. The team can immediately begin to reschedule these product orders at other facilities or look at how stock on hand can possibly satisfy a portion or all of the orders. While everyone understands that these things happen, it does not need to be an excuse that you don’t have the information to get these orders fulfilled from other locations. Supply Chain and Operations Analysis: Millions of electric meters are sending information every 30 minutes from the field. As your customers demand more energy to fight another heat wave, your real-time analysis of the trending demand allows you to smoothly increase the output of energy and allocate it efficiently across the grid. This information is coming from your core transaction platform, not across multiple dis-aggregated systems platforms. Most companies today try to achieve these results through bridging data from multiple sources that have inherent risks and timing issues. Make no mistake about this, HANA and Analytics is a disruptive technology, but it does not have to be complex. Business Technology (BT) spending is increasing as the value is obvious to all stakeholders. SAP, driven by Titan’s experienced consultants, has developed a Rapid-Deployment Solution to allow you to stand up Analytics on HANA for Operations in the shortest time possible. Which part of the $1-$10-$100 Rule do you want to affect your business? Titan’s Advisory Services are able to assist their customers in planning for and implementing the Analytics on HANA solution. Our senior-level technology and process consultants will help to ensure that you are selecting the right reporting tools, where the tools will drive rapid results and establish the timeline and investment for our project. Next month, we will provide an overview of the steps of the Rapid-Deployment Solution and how Titan’s team simplifies your roadmap to HANA. For more information on how Titan can assist you with your HANA and Analytics questions, contact Joseph Lamb, joseph@titanconsulting.net, call him at 972-743-2872, or contact your Titan Consulting Director. You can also see additional information on our Advisory Services for HANA at Titan Consulting.